If you are a real Seahawks fan than this shirt is for you. You know that Marshawn Lynch is a big part of your offence and this shirt celebrates his love for the candy. This shirt is only available until February 6th 2014. We need at least 15 preorders in order to print. You will not be charged for preorder unless we reach the mark of 15. This is also available in hoodie and women slim fit. A MUST HAVE FOR ANY DENVER BRONCO FAN!!!!!!! 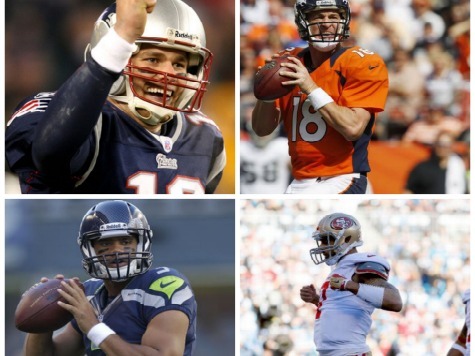 With Peyton Manning at the helm this team will be in the playoffs every year. Celebrate this great offence buy purchasing this limited time offer. This shirt is only available until February 5th 2014. Remember to browse the rest of our site for more interesting posts and t-shirts. This weekend will be an amazing one of football. Regardless of regular season records for both conferences most people felt that these were the 4 best teams this year and they made it. We will start off with the NFC which should be one of the great defensive battles of all time. Both teams are sort of mirror images of each other. They both have amazing running games and very athletic quarterbacks. Seattle should have the advantage when you compare the defensive backs and San Fran may have a slight advantage when it comes to the defensive line. Kapernick is faster to me than Wilson but Wilson makes the best decisions and is the better quarterback. 49ers by far have a better receiving corp with Crabtree, Davis and Boldin which should be a great matchup against the Seahawks amazing secondary. Gore and Lynch are both physical “grinders” at running back but Lynch is faster and I would pick him out of the 2. Truth is this is one of my hardest picks ever and I am thinking this may go into overtime which will be classic. Two great coaches who players love to play for. I have to go with the momentum that the 49ers have and pick them to win. Whether Percy Harvin can play or not will have a big impact on the game. The AFC Championship is like the headliner of a major boxing match. Manning and Brady is what everyone wants to see. It is kind of sad both are in the AFC so we will never see a Manning / Brady Superbowl but this is the next best thing. Starting off with coaches John Fox is a good coach but Belichick is incredible and may go down as the best ever. It is going to always be an argument between which QB is the best. Manning is thought to be the better regular season QB while Brady has had more success in the post season. Peyton has 3 great receivers, great running back and a great tight end. Brady has some unknowns and 2 solid receivers. It is basically two great offences against two average defenses. Both teams have great run games that are based on the explosiveness of their pass games. In the end it will be Belichick with his great planning that pulls of the win. Well if you look at my previous picks for the weekend I was 3-1. I could have been 4-0 had it not been for some bad coaching but we will get into that. The game with the 49ers and the Panthers turned out basically like how I thought it would. The Panthers started out somewhat dominant but in the end 49ers pulled away. The Panthers had a great season but their problem is on offence. Steve Smith is their best receiver and while he is great he is the only legitimate option. Lafell and Ginn are far from reliable and didn’t make any dynamic plays. On the 49ers side of the ball i will say off the top that i am still not impressed by Kapernick this year. His athletic ability allows him to mask his bad quarterback play. 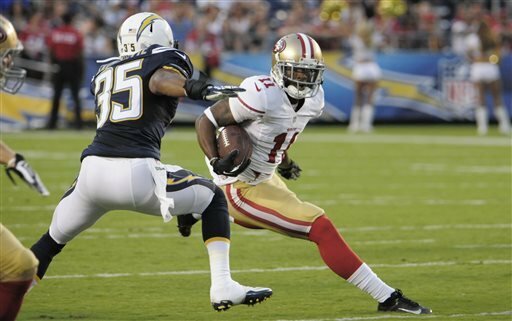 He is surrounded by talent namely Boldin, Davis and Crabtree who makes him look very good. He has to make the good decisions if the 49ers plan to get to and win the superbowl this year. The Chargers and Broncos game showed a few interesting things. It proved what I heard on the Jay Mohr show that Wisenhunt, the Chargers OC interviewing for other jobs during the week HURT the team. It was a horrible coaching job because their star running back Matthews was obviously hurt, it was then they should have switched their offence gameplan. They waited until they were down bad to start throwing when it was wayyyyyyy too late. This game also showed that the Broncos are not as good as they are supposed to be. Chargers played an absolutely atrocious game for at least 3 quarters yet still had a chance to come back at the end. Manning played well but it seems they are not as invincible as they were earlier in the year. Let’s start off with the Chargers and the Broncos. Peyton Manning is one of the best QB’s ever if not the best. His only critisicm is that he can’t play in cold and he is not as great in the playoffs. The cold itself may not be a factor maybe it’s just playing away from home that might be a little difficult for him. The reality of it all is that Peyton isnt completely to blame for when his teams failed in playoffs past. Teams in the playoffs make their defensive schemes to take away Manning and the rest of the team does not step up that is why they lose. Denver is a team that has alot of pressure on it. It is not one of them teams that sees going to the playoffs as an accomplishment; they are built to win now and anything short of at least a Superbowl appearance is not accepatble. Philip Rivers is an amazing QB and the Chargers are playing with house money. These guys with skill and alot of luck got into the playoffs so it is an exciting ride and I don’t think it will end this week. It will be a very close game it could be a shootout but the Chargers will find a way to pull it out because these teams see each other twice a year. The matchup that most people would love is if Broncos won and Colts won this week so that the AFC Championship would be Luck against his predecessor Manning. Sorry to say that won’t happen this year. The Patriots will win this one. Andrew Luck showed us last week that in his second year he is even better than we thought. They proved to be a team that despite losing a big piece in Reggie Wayne; they came together and steped up to the occasion. This game will definitely be close and despite the power of both offences it may be relatively low scoring. This year Brady is playing lights out and no the stats are not there to prove that. They have lost Gronk, Hernandez and Welker which were Brady main targets and Brady was still able to get 12 wins. With a week off to prepare expect Belicheck and Brady to be ready to win. The Panthers deserve alot of praise for turning around their season after starting slow they finished very strong. Cam Newton has matured through this season and is showing why he is a superstar. They have a great running game and dominate the line of scrimage. Their defence is one of the best in the league. They however will not win this game they have no chance. These teams have played earlier this year and Carolina came out with the win. This time the 49ers will come out with the victory. These teams are known for the same things. They all run the ball well, have QB’s who are athletic, great defences and can dominate the clock. The difference in this is Michael Crabtree. This one man changes 49ers from an average offence to a very good one. Their passing game will be the key and Carolina only has Steve Smith who is a real receiver. San Fran had Boldin and davis all year but that 3rd reciever will be a big impact. Sean Payton is an amazing coach and showed last week that the Saints can pull off a win on the road in the playoffs. He will be doing things to try and simulate the envirnoment they will be in this week in Seattle. Truth is though the Saints defence has lost some key people on defence and despite Rob Ryan being a good defensive coordinator they won’t be able to hold Seattle in check. Seattle does not have an amazing passing offence but their great running game allow for a decent pass game. Drew Brees will have a difficult night against this amazing defence seeing that the Eagles defence made it hard for him. 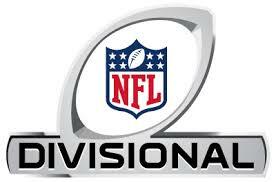 Seattle’s defence will show up in a big way in this game and help Seattle to make it to next week to face San Fran.